Who’s our literary superhero? It’s got to be James Patterson. Over 130 novels to his name, and 300 million books sold. Maker of the hilarious Middle School series. Champion of the disabled in I Funny. Hard to beat, hey? 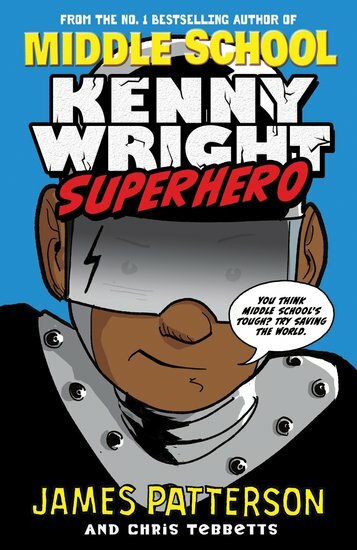 So we’re mega-excited about this series featuring Kenny Wright, a likeable would-be superhero at a tough urban school. ‘Grandma’s Boy’ Kenny struggles with bullies and keeping his detentions secret from his ‘G-ma’. But in Kenny’s head, he’s a superhero who fights crime and saves lives. Could he ever be a real one? James Patterson is one of the world’s bestselling authors, having written over 100 books in his career. He started out writing adult thrillers (and still does) but began writing children’s books when son, Jack, said he couldn’t find any great page-turning books for kids his age. He’s been called the busiest man in publishing, and that’s not just because of his own books. For the past decade, James has been devoting more and more of his time to championing books and reading. 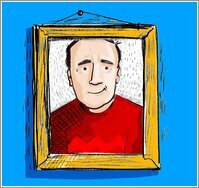 From the James Patterson Pageturner Awards, to ReadKiddoRead.com (a website which recommends great books for kids of all ages) and his scholarships, book donation programmes and founding partnership of Booktrust’s Children’s Reading Fund, James has focused on passing on his passion for reading to kids everywhere. As he says himself, ‘If I can help to make books and reading more important in children’s lives, I’ll be a happy man’.